Mobile advertising in the United States has been estimated at USD 5.3 billion during the first half-year for 2014, up from USD 3.0 billion in the first six months of 2013. The Share of search through Mobile has gone up and so have the Social Media advertising revenues. The customers are shopping on-the-go and the digital buyer journey has been redefined to incorporate location-based marketing with the rising importance of Mobile. 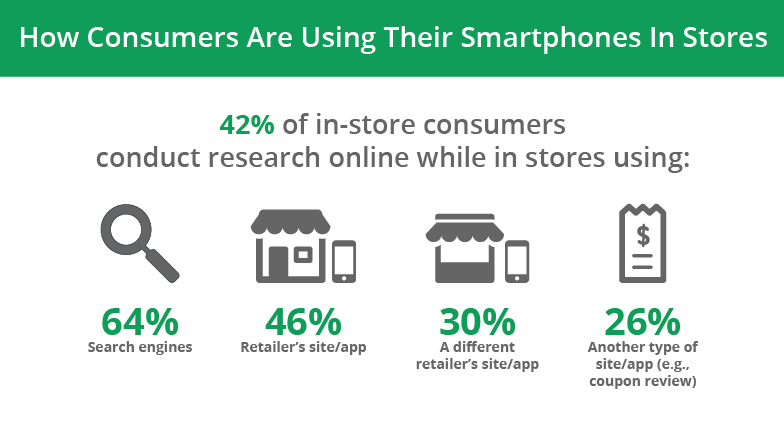 Smartphones are increasingly being used as Shopping Assistants and the Local in-store shopping is on the rise. Mobile is rising in prominence and your marketing campaigns need to target audiences where they are and reach audiences “on-the-go”. The moment of truth for most consumers may not be prior to the start of buying cycle but as strategies of smart retailers has shown that combining local shopper strategy with digital marketing strategy has increased their overall revenue. 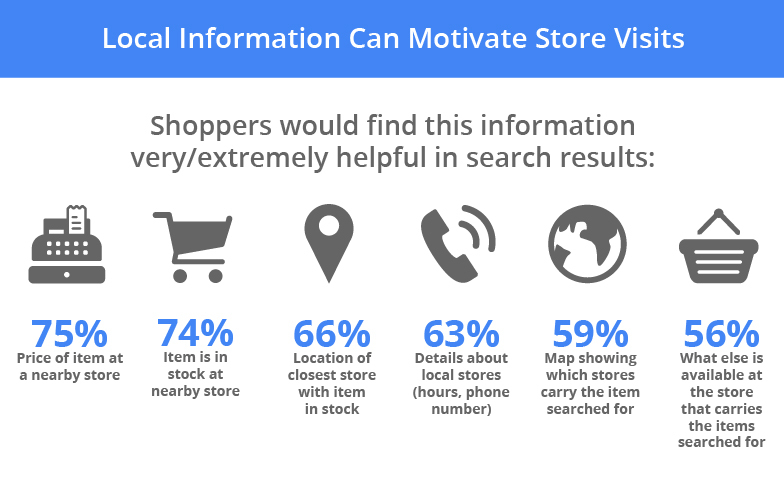 Search Results drive customers in-stores. Marketers therefore need to keep in mind while running their brand campaigns they combine it effectively with locally available special deals and offers. it is important to keep in mind that the offers that are available are built into the digital campaign for your brand. 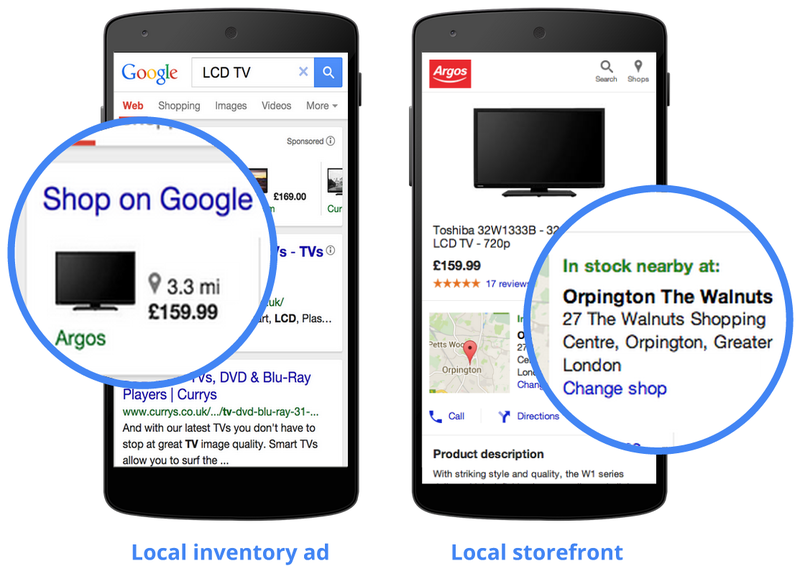 It is critical that you have this incorporated at the briefing stage so that the important offers that are likely to bring in customers to your store are highlighted in the search results for the area. To target consumers on the go Macy’s used Local inventory ads which helps customers decide what they want on the go with the help of local Inventory Ads, “Macys.com, for instance, uses local inventory ads to expose local in-store inventory to consumers while they’re on-the-go”. 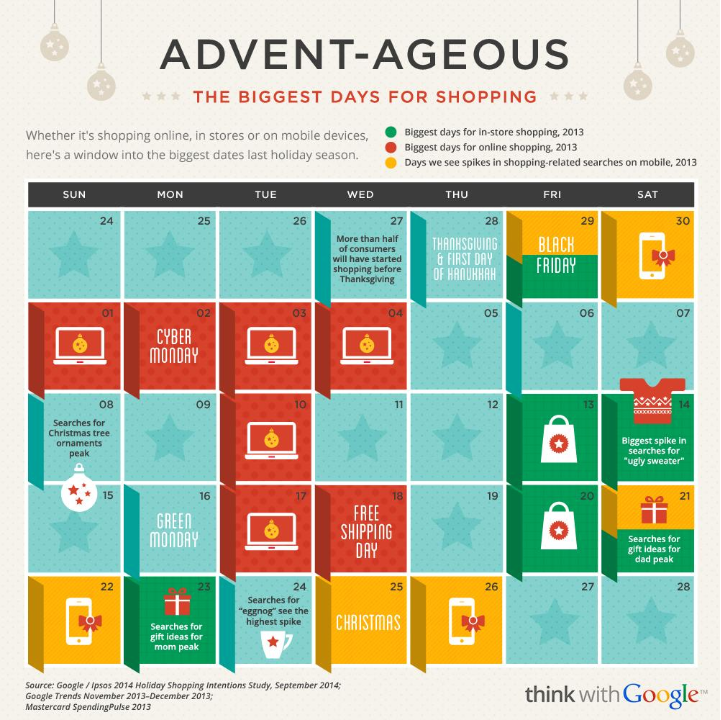 Smartphones are shopping assistants. Customers are viewing all possible information that is available with the help of search engines, retailer mobile sites, apps and any other review sites. It is therefore important to build in Geo-targeting in your campaign with relevant ads and locally available information such as reviews. Some retailers such as Sephora have successfully integrated Customers Reviews and ratings into their sites. 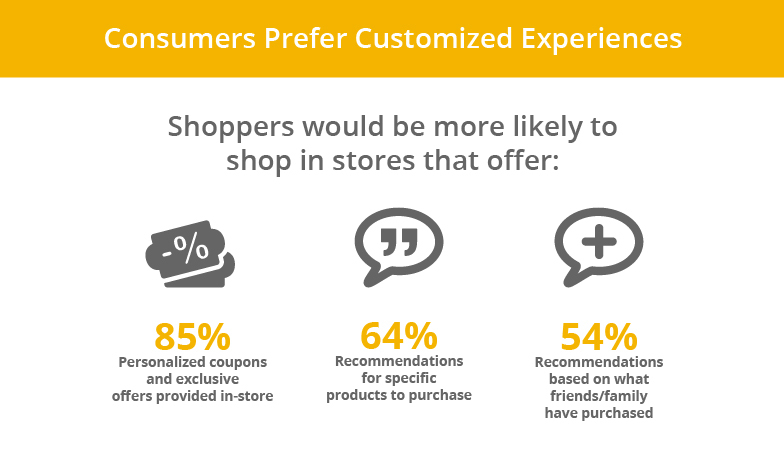 Customers are looking for a customized experience with 85 percent stating that they are more likely to buy from a store offering personalized discounts and coupons. About a third of the customers are likely to visit the store prior to making a purchase making it easier for retailers to offer discounts that are customized s that the chances of converting the customer are greater. This can be easily done with linking certain special offers for a limited period and remarketing to the website visitors from the are where your store is located. While deciding on the channels, networks and formats, it is important for brand Marketers to keep in mind the role played by each channel in the buyers journey. 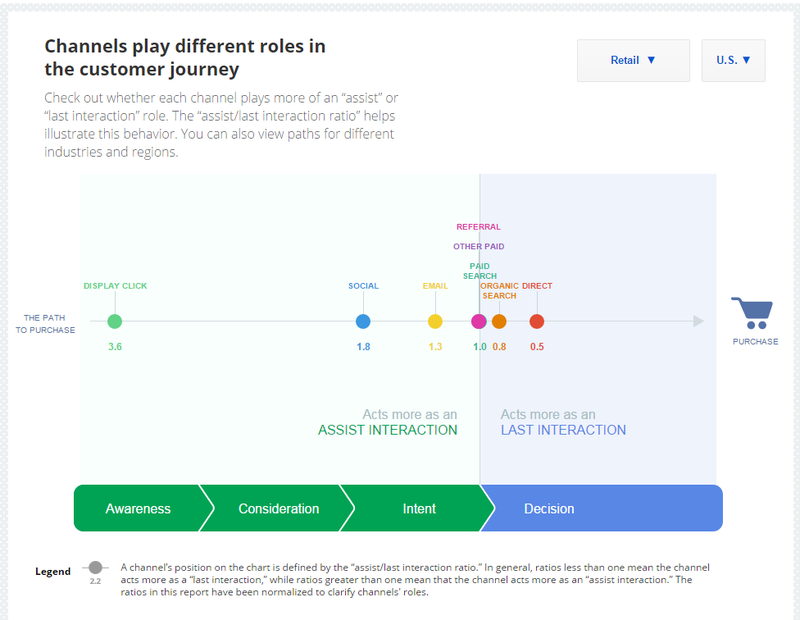 Here are two helpful charts from Google Insights to determine if the channel and format that you are planning to use is critical in determining the purchase. Facebook Local Awareness Ads – To reach the area where your store is located you can create a Facebook Local Awareness ads. 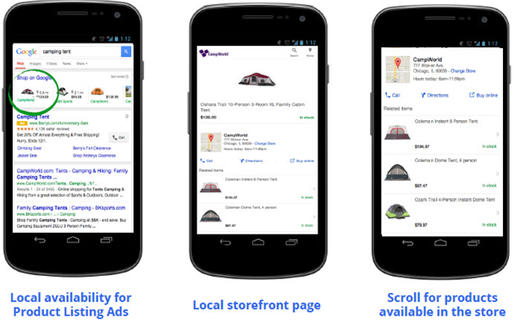 Steps to create a local awareness ads are given on Facebook for Business. Google Merchant Promotions – Google Merchant Promotions make it possible to advertise special offers along with the Shopping Ads. The Merchant Promotions ad in shopping campaigns help online stores promote special offers that they are running which could help customers choose their products over other products . 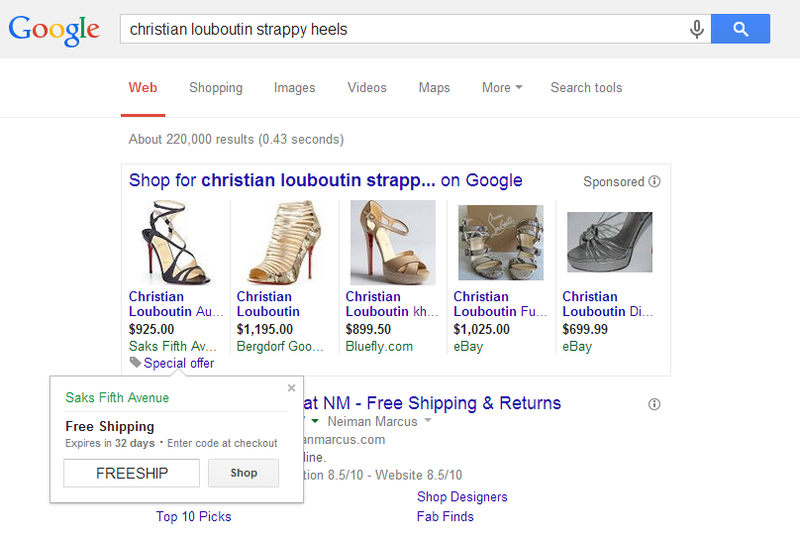 To get Started with Google Merchant Promotions, visit Google Merchant Promotions page. Local Inventory Ads – Local Inventory Ads are gret to display availability of Shopping offers available locally and can be used to maximize sales during the holiday season. On the Display Network, you can reach people while they’re using other apps that are similar to yours with app install ads. These campaigns often get large volumes of impressions, which can increase awareness of your app and attract new app users who may not be actively searching for you. This can be customized for local offers with relevant keywords. On the Search Network, you can show app install ads to people while they’re looking for an app like yours, or trying to do something that your app makes easier. Search Network campaigns are a great way to connect with people who are actively looking to download an app like yours. On YouTube, you can show video ads to reach people who are interested in content related to your app. YouTube campaigns can help boost awareness of your app with engaging content that grabs your customers’ attention at just the right moment. 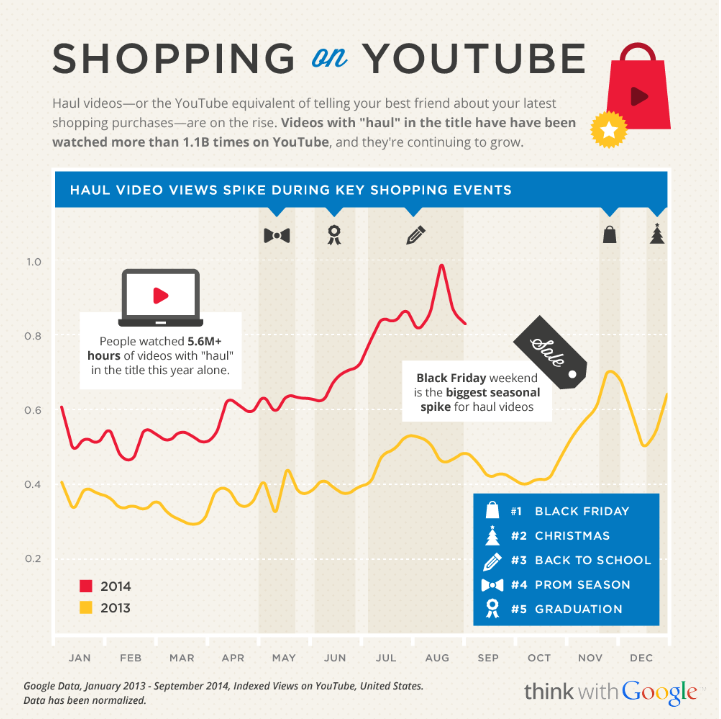 Digital Videos have become an integral part of in-store shopping. They are becoming an enabler for shopping as Shoppers look at videos while deciding on the product and sharing their purchases with friends. The network may differ with age groups but one in four shoppers have claimed to use video prior to deciding on their purchase while in-store. 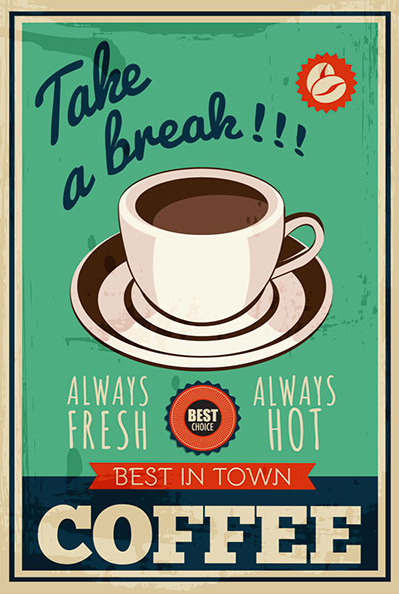 Posted in Advertising, Digital, Insights, Mobile Shopping. Tagged advertising, Apps, Campaign, Digital, Facebook, Google+, Mobile, Mobile App Installation Ads, Search, Video, YouTube.